F.E. Young and Gena Schmidt have formed a new business. They have what they believe to be the perfect product to start with. The government has been creating a myriad of incentives to encourage the start up of small businesses, which made it perfect timing. And F.E., who had recently acquired a house, coincidentally across the street from Gena, had the perfect place. And so, on February 1st of this year, “A Perfect Gift Company, LLC” was born. When F.E.’s daughter Zoe was little, F.E. wanted to make Hanukkah special for her. 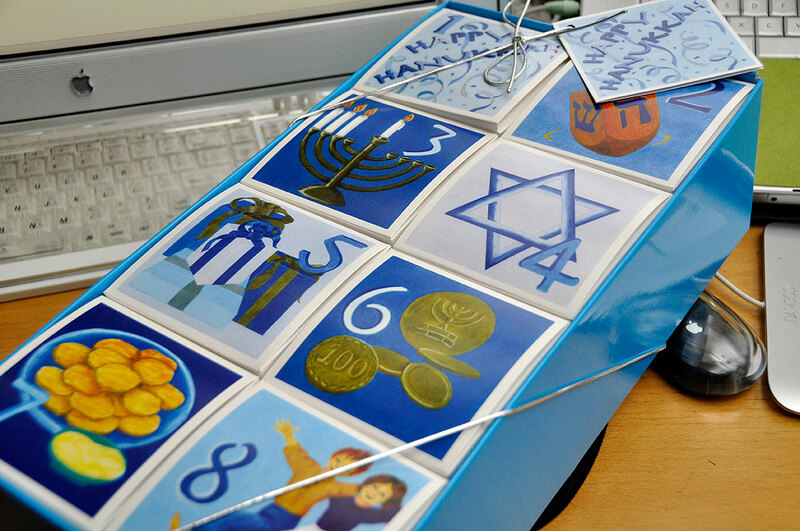 As an artist, teacher and single mother, a little had to go a long way, so she created the “Hanukkah boxes.” They were eight small cardboard boxes, each with an illustration of a Hanukkah tradition and a number…one for each night. She stacked them together in two rows, side by side, and bound them with a colorful piece of blue paper. 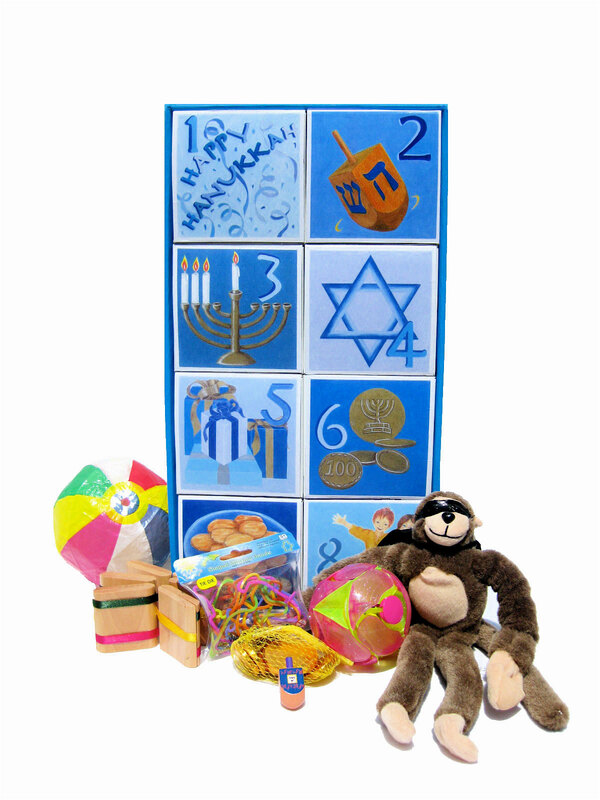 She put Zoe’s name on the side and filled them with little things; candies, a dreidel, paper balloons. And every year since, for fourteen years, she’s filled the boxes for Zoe at Hanukkah. Zoe is now twenty-one and away at college, but still eagerly looks forward to opening the boxes during Hanukkah. As teachers at the same school, Gena and F.E. met and became friends, not realizing that they had grown up twenty years apart on the same street, in houses across from one another. Gena, a former attorney, teaches third grade and between the two women they possessed an impressive set of skills. Certainly impressive enough to produce and market a holiday gift package filled with toys. They could build a little company, make enough money to send Gena’s two boys to college and Zoe could stay in school as long as she wanted to. They both imagined pleasant afternoons, when the school day ended, chatting and filling boxes with toys. 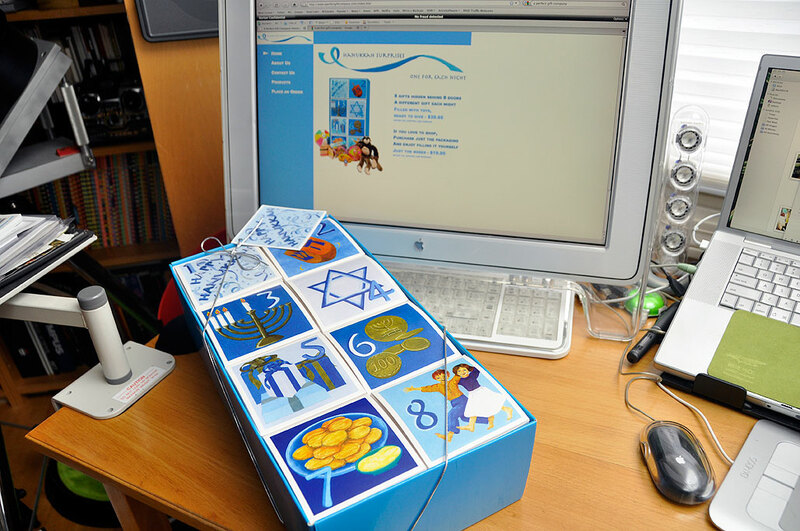 They named the Hanukkah boxes “Hanukkah Surprises…One for Each Night.” and set up shop. They soon discovered that regardless of how anxious the government might be to get new small businesses underway, that didn’t mean that they had any intention of making it easy. 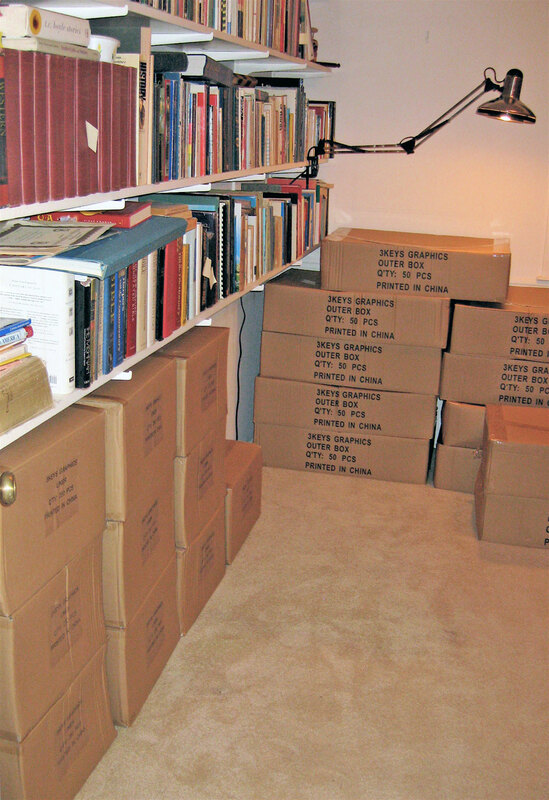 By the time they became a Limited Liability Company, acquired a resale number, tax ID, and business license, opened a bank account, navigated the maze of copyright and patent offices (and each in their prescribed order), it was August and not a single toy had been stuffed into a single box. But that situation was due to be rectified in September when the boxes, being manufactured in China, were scheduled to be delivered. F.E. handled overseeing the design and production of the boxes, Gena became a hunter and gatherer of toys, and Zoe wrote the story of Hanukkah to include in the box to be opened on the first night. It soon became apparent that their skill set was lacking in significant areas…marketing and technology. Gena’s husband Josh, a math teacher, managed to build a web site, but they both women had (and still have) a lot to learn about marketing a product. There have been countless obstacles and difficulties this year. Apart from the usual problems with banks and businesses and technology; the Hanukkah gelt (chocolate coins) was delivered and left on the doorstep in record breaking heat (105º), 2500 of the Amazing Slingshot Screaming Monkeys were delivered and left on the doorstep in the rain, there was confusion with the Silly Bands order and they received 2500 packages that said “Glow With God” and were filled with crosses and other Christian symbols, and Gena’s dog ate the switch pitch balls. Dodger is fine but the packaging the balls came in is a little the worse for wear. On the flip side, there were countless joys; F.E. and Gena, with both of their husbands, assembling and filling boxes with toys while Gena’s boys (ages 8 and 11) did their homework in the kitchen, talking to grandmother’s all over the country who were happy to have something wonderful and simple to send instead of a check, and the incredible support they received from the Skirball Cultural Center that is not only selling the Hanukkah Surprises but gave them free tickets to include in every package. And both F.E. and Gena agree, it’s very fun to be in the toy business. BTW, Hanukkah, which begins on the Hebrew calendar date of 25 Kislev, and lasts for eight days, starts on Dec 1 this year. There is still time to place and order. A Perfect Gift Company, LLC can be reached at 310-384-2229.